In a motor vehicle accident, under Florida law, each driver is responsible for his or her own percentage of fault. For example, if both drivers are 50% at fault, you can only recover 50% of the total damages against the other driver or their insurance company. 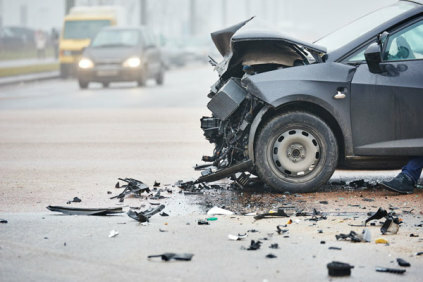 If the other driver involved in the collision doesn't have insurance, and you have uninsured motorist (UM) coverage on your vehicle, or any relative in your household has UM coverage, you may recover from your insurance company the same amount of damages as if the other driver had insurance. Even if you are a victim of a hit and run driver, or you are a pedestrian and hit by an unidentified vehicle, you may recover from your own insurance company under your UM coverage. If you or a loved one is the victim of a car accident, call our law offices for a consultation. Our accident lawyer may be able to help you recover for your losses. Auto or truck accidents can result in serious, life-changing injuries. We specialize in cases involving serious physical injuries including spinal cord injuries, bone fractures, brain injuries, amputations and even death. It is not only the physical injuries that impact a car accident victim's life. One of the first questions we often hear from accident victims is "will I be able to pay my medical bills?" Medical expenses for serious injuries can cost millions of dollars and may continue throughout your lifetime. We will assist you in getting them paid. When you contact us after a car or truck accident, you will speak directly to an experienced Personal Injury Lawyer. The Bernstein Law Firm has specialized in helping victims involved in auto accidents move quickly to resolve their accident related claims and treat their accident related injuries. We begin our cases by investigating the accident scene, researching the accident and collecting all available evidence. Our auto accident or truck accident attorneys often work with investigators and accident re-constructionists and analyze statements, skid marks, and vehicle damage, and determine how the accident occurred, whose fault it was, and whether anyone did anything to make your damages worse. We use this information, along with your recollection of the accident, and present you with an objective evaluation of your case. The Bernstein Law Firm will help you get all the compensation you deserve for your pain and suffering, loss of enjoyment of activities, lost economic opportunities and wages, and medical expenses to help you get your life back on track. Our free and confidential consultation allows you to ask us questions about your case. We are available to come to you if you are unable to travel. We will enforce for your rights against the insurance companies, other negligent drivers, or any anyone else responsible for the damages you suffered. We promise to make sure that your rights are protected. If you have been a victim of an auto accident or truck accident, please contact us. Our firm can be reached by phone at 305-670-8877 or 1-877-670-8877. Buses are largely safer than cars, but that doesn’t mean they are free from risk. As a matter of fact, over 15,000 people are hospitalized every year after being involved with a bus accident. If you or a loved one has been injured or killed while riding a bus, please call a top accident attorney from The Bernstein Law Firm. It does not matter whether the accident was caused by the driver of another vehicle or the bus driver in accidents like these. When you board the bus, you sacrifice your right to control your situation, which means the bus company takes on the highest level of responsibilities for these common carriers. If passengers are not safely taken to their destinations, the company is liable. When the accident was caused by the other driver, your accident lawyer can help ensure you receive the compensation you deserve by negotiating with the other driver’s insurance company and the bus company. He can make sure you receive compensation for your pain, suffering, medical expenses and lost wages related to the accident. Of course, it is important to remember that not all bus accidents are a result of a crash. If you slipped while walking down the aisle or if a piece of luggage fell from an overhead storage area and struck you in your head, you would still be eligible to file a personal injury lawsuit against the company for your pain and suffering. Your accident lawyer can make sure you receive compensation from any bus accident, whether it be a crash or a simple slip and fall injury. When you or a loved one has been injured while riding a bus, please call our offices as soon as possible to discuss your case with a top accident attorney. Since the late 1970's, large trucks have accounted for approximately 12% of all fatal traffic related crashes. Because of the excessive size and weight of trucks and their cargos, smaller passenger vehicles (automobiles) are always exposed to great risk and injury upon impact. Truck driver fatigue, inadequate training, inexperience, and excessive speed are often common causes of truck accidents. Many times trucks are overloaded with freight, or their equipment malfunctions due to lack of proper maintenance, including the continued use of faulty parts or defective tires. Truck accidents often cause serious injuries. You need an experienced accident lawyer on your side to ensure you recieve the compensation you require for your injury. Thousands of people in the US fall victim to negligent drunk drivers each year, and as a result suffer catastrophic injuries and wrongful death. 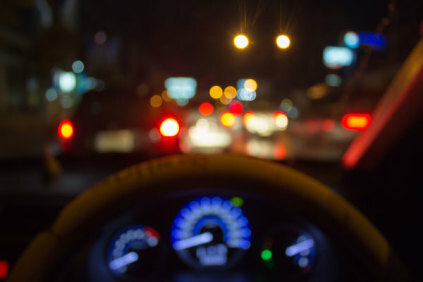 If you or a loved one was hit by a drunk driver and suffered a serious injury or death, most likely you will face overwhelming medical expenses, pain and suffering, and emotional trauma. A skilled drunk driving accident attorney can help you recover compensation for medical expenses, lost wages, pain and suffering, and more. Contact one of our injury and accident lawyers to learn how we can help. At our injury and accident law firm, attorney Hugh H. Bernstein has represented injured accident victims in Florida for a number of years. He has the experience and knowledge to successfully pursue rightful compensation to help our clients recover the damages and losses they need and deserve. Your auto insurance company and the insurance company of the drunk driver may cover your medical costs and damages. However, it is important to contact a drunken driving accident lawyer to learn if you are entitled to receive compensation for lost wages, emotional trauma, and punitive damages. A DUI accident attorney from the Bernstein Law Firm can help you receive the compensation you need and deserve. We will review your case, investigate the accident with the help of other experts, and pursue the highest settlement possible. Don't hesitate to call. Schedule your FREE consultation with Kendall injury and accident lawyer Hugh H. Bernstein today. Semi-trucks are always a danger on the roadway, even when traveling at a lower speed. While the average driver can most always see large vehicles on the road, the driver of a semi-truck may not be able to see the cars in the next lane. Negligent driving, poor weather and road conditions often cause semi-truck accidents. They can even be the result of mechanical malfunctions from parts of the truck that need repair. Trucking companies must also be held liable for the actions of their drivers and the accidents they cause. If you have been injured in a semi-truck accident that was not your fault, you are owed compensation for any medical bills, property damage, and pain and suffering. 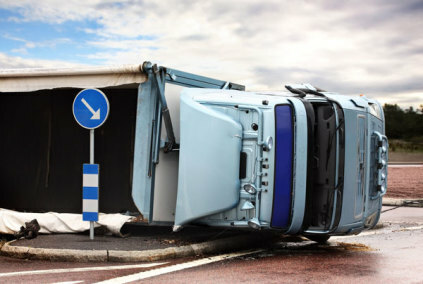 Truck accidents often cause serious injuries. You need an experienced accident lawyer on your side to ensure you receive the compensation you require for your injury. Don't let yourself be victimized a second time, as medical bills and other expenses begin piling up. Contact an injury attorney at the Bernstein Law Firm in Kendall , FL, at (305) 670-8877, or contact us for a free initial consultation. A motorcycle accident can result in severe injury or death far more often than other types of motor vehicle accidents. Because of lack of protection, a rider on a motorcycle is at much greater risk of severe injury than an occupant of a car or truck. Motorcycle accidents commonly occur when the driver of a car or truck fails to yield the right of way. Motorcycles are more difficult to notice than automobiles and therefore their riders are exposed to far more risk of physical injury than drivers of larger and heavier motor vehicles. If you have been in a motorcycle accident, speak with one of our accident lawyers and see what we may be able to do for you. The information in this website is not legal advice and is not intended to be a substitute for consultation with an attorney. Specific legal issues and concerns always require the advice of legal professionals.